Membership of the Institution gives you an edge, because it clearly demonstrates your professionalism, qualifications and experience. 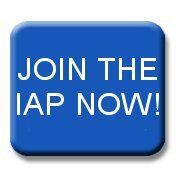 The Code of Conduct that binds every IAP member is your employer’s guarantee of high standards of ability, probity and conduct. Many people choose to join the Institution for the prestige. But there is a range of more tangible benefits too, providing help when you need it.